Many people prefer to find their required information online. People can find just about anything they need online, and real estate businesses need to know this. This is why so many realtors choose to use a website to advertise their business. Homebuyers can search through hundreds of listing for available homes before they ever make contact with their realtor. Some realtors choose to design and run their own websites, while others prefer to hire a professional to handle every aspect of their website design and maintenance. There are companies that allow realtors to sign up with their service and then they guide them through the process of setting up their website. It is up to a realtor to decide how much they want to spend on their website and how professional they want it to look. Realtors have a number of different clients that they work with each day. 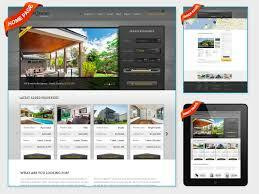 A realtor’s website should offer something that sets that particular person or company apart from their competition. People can choose from thousands of realtors so when they come across websites for realtors there should be something noticeable that makes the customer want to work with that particular realtor. In today’s digital age people are used to having access to information immediately. People spend a great deal of time every day on their computers looking for specific information. If a person is looking for a realtor they want that person’s website to catch and hold their attention. A realtor knows that websites for realtors need to contain a great deal of information and that presentation is everything. No one wants to look at a boring website that just contains a great deal of information. Even if a realtor has a great website, it is still up to them to provide their client with the best service possible and help them find the home of their dreams. 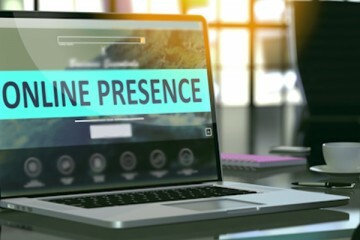 Can Online Presence Have A Positive Impact On Your Real Estate Agency?